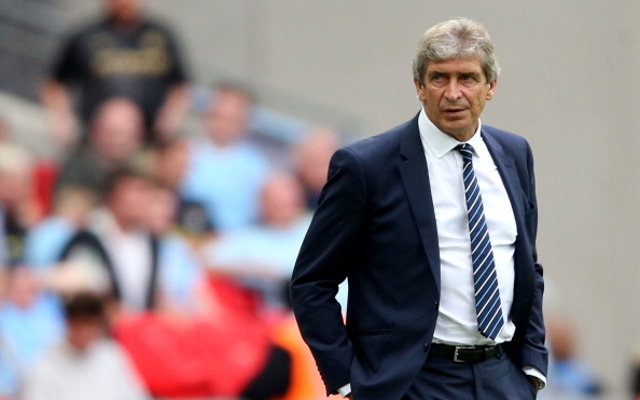 City boss fuming after easy win for Gunners at Wembley. Manchester City manager Manuel Pellegrini is set to undergo a major cull before the end of the summer transfer window as he aims to clear out a number of under-performers from his first-team squad, it has emerged. The Chilean tactician was supposedly fuming at his side’s tame defeat at the hands of Arsenal in Sunday’s Community Shield clash at Wembley, with Santi Cazorla, Aaron Ramsey and Olivier Giroud scoring in what turned out to be a comfortable victory for Arsene Wenger’s side. The manner of the defeat will cause some concern for Pellegrini, with the City boss admitting after the game that his side are “not ready” for the start of the new Premier League season, which begins next weekend. As many as five of the team’s squad players have been identified as surplus to requirements, and the club will hope to offload them in the coming weeks as well as bringing in one or two replacements to enhance the quality of options available to Pellegrini at the Etihad Stadium. A surprise signing from Swansea City a couple of years ago, it is no real shock to see that Scott Sinclair has failed to make his mark at Manchester City. The former Chelsea youngster also made a minimal impact during a season-long loan spell with West Bromwich Albion last season, and may prove difficult to clear out. Still, City remain keen on getting the 25-year-old off their wage bill this summer, with his pre-season displays doing little to persuade Manuel Pellegrini that he can have any kind of future at the club.